Fed up of waiting forever to pass your ITV? Book our services online, save time and avoid long queues. Open Monday to Friday from 7.30am - 9pm and Saturdays 7.30am – 2pm. Login online and follow your appointments and access your personal information. Come and pass your ITV! With or without an appointment. Discover all the benefits of doing your MOT test with us..
Book an appointment from the comfort of your sofa via computer or Smartphone. Choose a time and day which suits you the most and pass your MOT test without waiting! Modifications for heavy and lightweight vehicles with or without a project. Once you pass your ITV at our centre, a user profile will be generated, offering the user multiple benefits. Any doubts or suggestions? Don’t think twice and contact us through your personal account. Access your bills, inspection summaries and other information/documents through your personalized online profile. EUROINSPECCIONES, S.L. is a company created in response to a need: to offer a quality service to our customers during their vehicle’s MOT. In this context, ITV LA HOYA was born. With the aim of guaranteeing protection to drivers and their passengers we carry out our MOT tests to keep your vehicles safe. Once your MOT has been completed, you will have a username to access the customer area on our website. You will be able to access your bills, your MOT report or even ask any questions in just a few minutes. Why is an MOT necessary? In order to drive on public roads, vehicles registered in Spain or those which will be registered in Spain will need to have an MOT test at any MOT centre in line with the specific characteristics of each case, following the requirements, regularity and exceptions that are established in this Royal Decree. The owner or long-term renter of the vehicle must complete the necessary MOT tests according to Article 5. The MOT centres will be set up by the corresponding department of the regional administration where they are based, according to Article 21. Each autonomous community will designate the MOT centres that are authorized in their territory with an identification code, which will be used in the MOT reports that they issue, according to Article 10. These documents must be provided every time you want to go through the MOT test, either in the first attempt or the second, in case of a 2nd attempt. Regular technical tests of the vehicles, whose aim is to check if the vehicle is fit to travel. Technical tests made due to any changes in the vehicle. 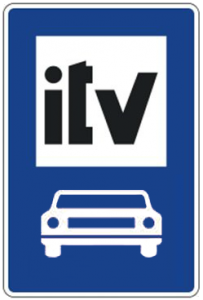 Technical tests prior to the vehicle registration, or made for the issuing of I.T.V. cards. Technical tests that are requested by any administration to the owner or long-term renter. Voluntary technical tests requested by the owners or long-term renters of the vehicle. Technical tests of vehicles which have suffered an accident. Technical tests as a result of roadside technical tests. Technical tests prior to the suitability test necessary for vehicles destined to minors and school transports. Technical tests as expected in the cataloguing of historical vehicles. Technical tests established by the applicable legislation to the vehicles of food products at a regulated temperature and to vehicles transporting dangerous goods by road. Any other technical inspections that are established in line with the regulation in force at the request of the corresponding autonomous community. What does the colour of the MOT sticker mean? Yellow sticker: 1999, 2002, 2005, 2008, 2011, 2014, 2017, 2020, 2023, 2026, 2029. Red sticker: 2000, 2003, 2006, 2009, 2012, 2015, 2018, 2021, 2024, 2027, 2030. Minor faults (DL) do not cause an immediate safety risk. Major faults (DG) are more serious, and they pose a potential safety risk to drivers and others. It could also be a defect that has a damaging impact on the environment. Dangerous faults (DMG) pose an immediate risk to the safety of the driver and other road users or have a damaging impact on the environment. When several faults are found in the same element of the vehicle, it may be classified in the highest degree of importance if it can be shown that the combined effect of the faults is a higher risk for road safety. When no faults at all or only minor faults are found during a test, an MOT certificate will still be issued. If a major fault is found during a test, this will result in an MOT failure and the owner will not be issued with an MOT pass certificate. If a dangerous fault is found during a test, this will also result in an MOT failure. Minor faults will be repaired within 2 months. A new test is not necessary, except if the first test resulted in an MOT failure. Major faults disqualify the vehicle from being driven on public roads except for its transfer to the garage or, in this case, for the regularisation of its situation and be back to the MOT centre for a new test within 2 months, starting date from the first failure result. Dangerous faults disqualify the vehicle from being driven on public roads. In this case, the transfer of the vehicle from the MOT centre to its destination it will be carried out through another vehicle. Once the faults have been rectified, another MOT test will take place within 2 months, starting date from the first failure result. If the vehicle undergoes the second test after the deadline, a new full test will be completed, without detriment to possible sanctions. Every disqualification to circulate on the roads, as a consequence of faults, will be registered electronically in the vehicle register. In the case of major or dangerous faults, vehicles must undergo an inspection of the faulted elements once they have been rectified. If other faults are found during the inspection, these will determine the result of the inspection according to their classification, according to the MOT centre manual. In every case, faults will be written down in the MOT report. From 20th May 2018, owners can choose the MOT centre freely for both the first inspection and any extra tests. Until this date, extra tests must be conducted in the same centre as for the first inspection. El sistema de reserva es muy cómodo. Además una vez allí ahorras esperas innecesarias y otros problemas. Repetiré. Muy útil la reserva y el pago con tarjeta en la ITV, así no necesito llevar efectivo cuando paso la ITV y lo tengo siempre mucho más controlado. Fácil, rápido y sin problemas, así da gusto pasar la ITV.